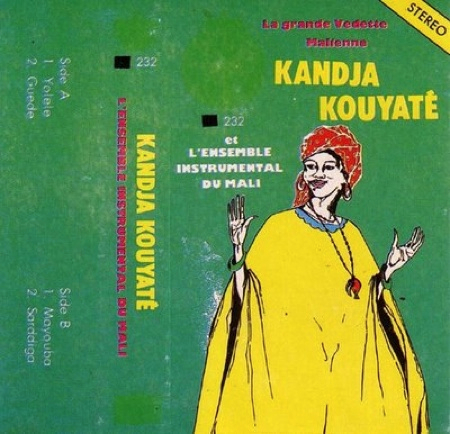 This remarkable website features cassette tapes from open air markets in Africa. This site is nothing more and nothing less than Awesome Tapes from Africa. It’s one of those this-is-what-the-web-is-for websites. Here ex-Peace Corp Afrophiles, musically inclined travelers, and amateur ethnomusicologists share their African tape collections. They scan in the cover art and digitize the tapes as mp3 files which you can stream (and download using software like Wiretap or AudioHighjack). There are fabulous gems in the collection here. Raw, refined, deep, coarse, exquisite, ground level. It’s a close as one could get to Africa without having to get on a plane. This cassette is perfect in almost every way. It makes me want to drop acid and burn incense or something, it’s so smokey and dark and surreal. Like late Coltrane.